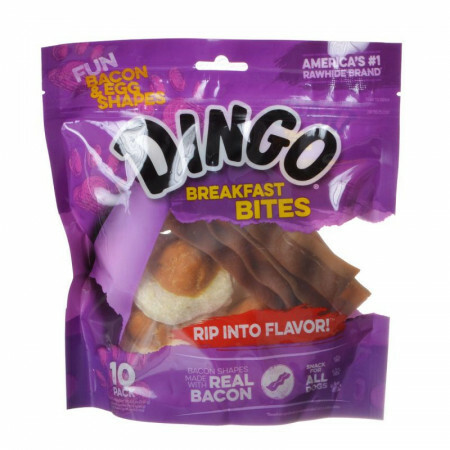 Dingo Breakfast Bites Dog Treats are the perfect way to start your dog's day! 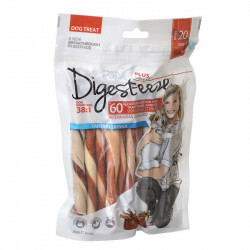 These fun, tasty rawhide treats are shaped like eggs and bacon and made with real ingredients that deliver savory breakfast flavors. 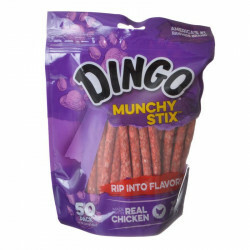 They're great for chewing and even help clean your dog's teeth! Feeding Guide: One a day. Always supervise consumption and provide plenty of fresh, clean drinking water. 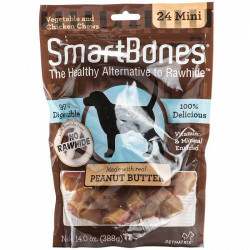 Ingredients (Bacon shapes): Rawhide, Corn Starch, Glycerin, Sorbitol, Rice Starch, Chicken, Bacon, Gelatin, Sugar, Natural Chicken Liver Flavor, Titanium Dioxide (Color), FD&C Blue #1, FD&C Red #40, FD&C Yellow #6, Artificial Bacon Flavor, Natural Smoke Flavor, Monoglyceride, Potassium Sorbate (Preservative), Sodium Propionate (Preservative), Sodium Erythorbate (Preservative), Vitamin E Supplement. 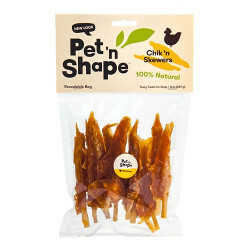 Ingredients (Egg shapes): Rawhide, Chicken, Glycerin, Natural Chicken Liver Flavor, Artificial Bacon Flavor, Salt, Potassium Sorbate (Preservative), FD&C Yellow #5.